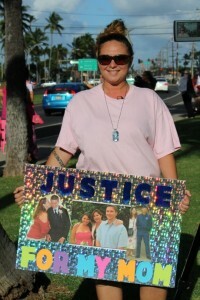 The Women Helping Women organization hosted a sign waving rally on Wednesday afternoon in an effort to maintain awareness of missing women cases on Maui. “There’s still two women that are missing. There’s very little information, and we really want the families to have some resolution,” said Stacey Moniz, executive director for Women Helping Women on Maui. 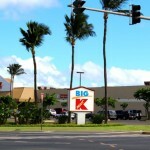 The rally was held during the afternoon rush hour beginning at 4 p.m. in front of the Queen Kaʻahumau Center in Kahului. Organizers say the event was aimed at raising awareness, empowering women and girls and seeking justice for women. 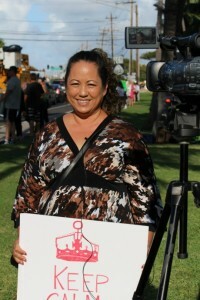 Stacy Moniz, executive director of Women Helping Women on Maui. Photo by Wendy Osher. Alexis Felicilda, the daughter of missing Moreira “Mo” Monsalve. Photo by Wendy Osher. 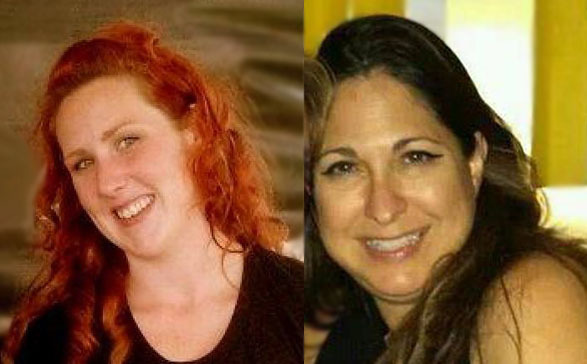 Two missing women cases this year have drawn significant media attention including the January disappearance of Moreira “Mo” Monsalve; and the February disappearance of Carly “Charli” Scott. 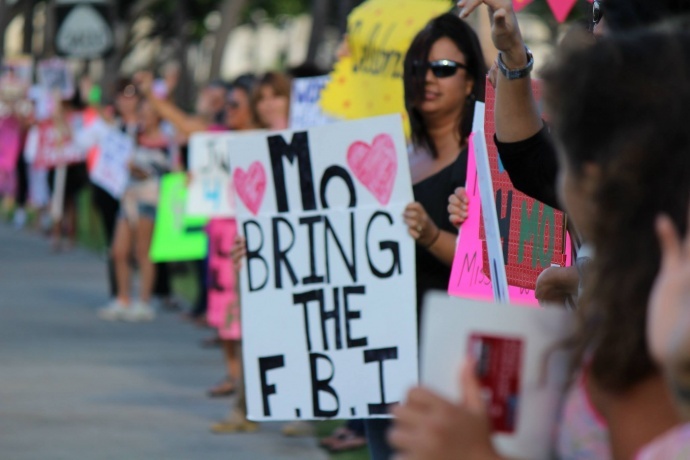 “Both of these cases are really based in domestic violence,” said Moniz. “Both of these cases, the last person to see them was a former partner,” said Moniz who said she believes that leaving an abusive relationship adds to the danger level for victims of domestic violence. In earlier reports police noted that neither of the ex-boyfriends have been named as suspects, however police have identified them as persons of interest. 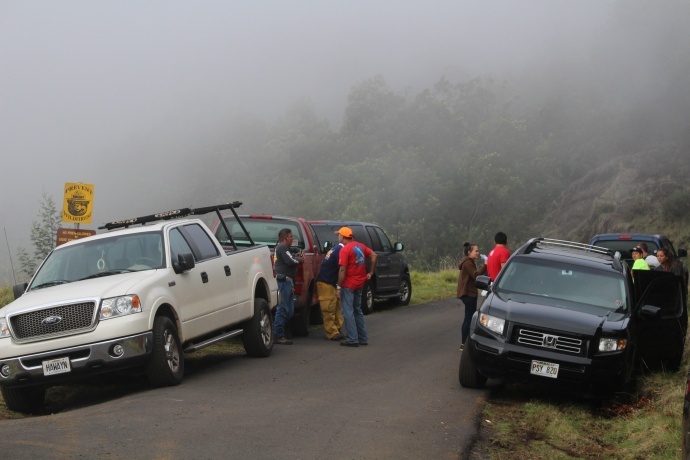 Scott, 27, was last known to have left the Haʻikū area on Sunday, Feb. 9, 2014 to assist her ex-boyfriend, who family members say asked for help in getting his car pulled out of an area near mile marker 20 of the Hāna Highway. 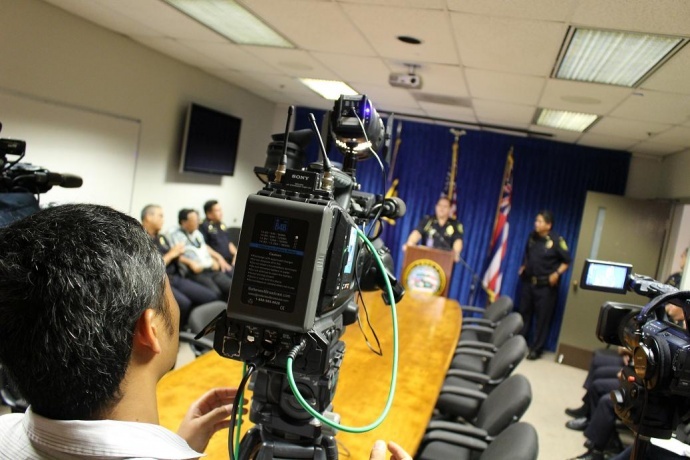 Just last week, police reclassified the Scott case from a missing person to a homicide investigation. 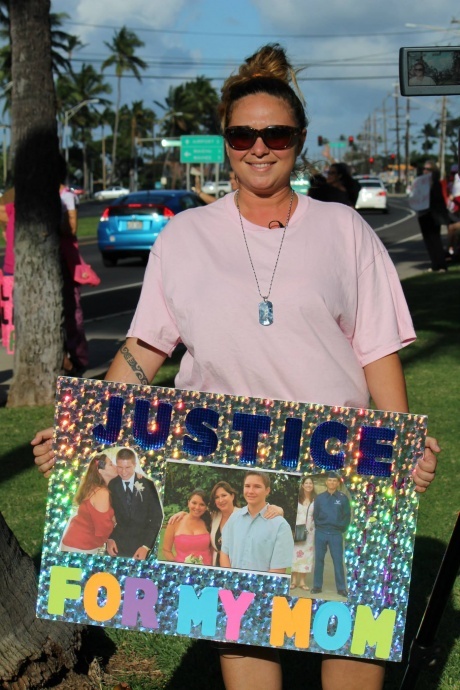 Monsalve, 46, was last seen on Sunday, Jan. 12, 2014, at her ex-boyfriend’s residence in Wailuku. The mother of three was reported missing two days later by her daughter, Alexis Felicilda. Women Helping Women rally. Photo by Wendy Osher. “There’s a lot of things that we’ve been finding out; but like I’ve been saying, every time we get an answer, it just leads to a lot more questions,” said Felicilda who was among the line of people that stood along the sidewalk waving signs in support. 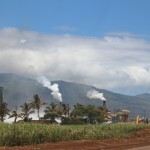 The rally comes on the heels of a similar rally held last week Monday in South Maui. According to the organization’s website, Women Helping Women provided shelter to 127 women and 98 children during the 2011-12 fiscal year, received 831 crisis calls, and answered more than 7,300 information calls via its 24-hour domestic violence hotline.